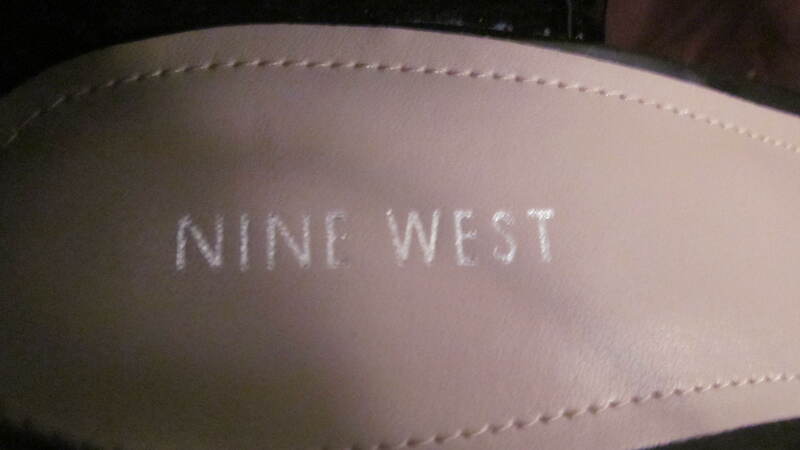 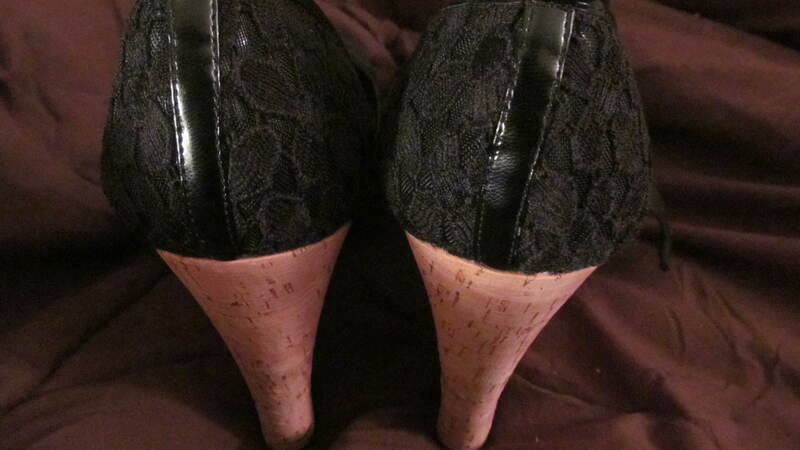 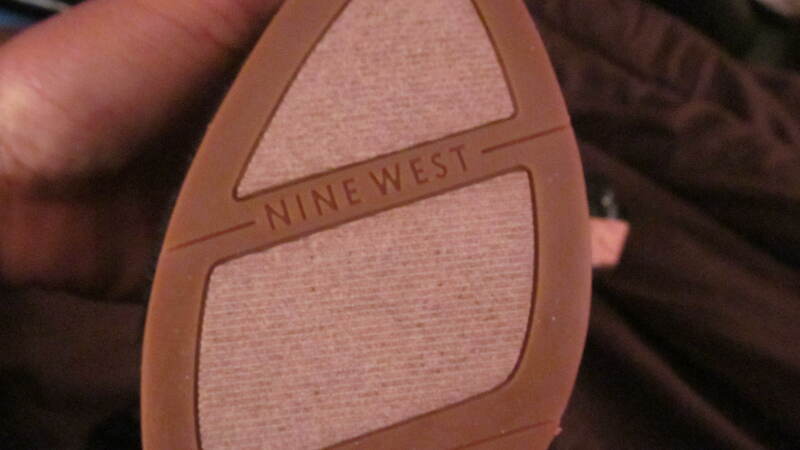 I figured we would keep it in the cork themed realm and look at these heels from ‘Nine West’. 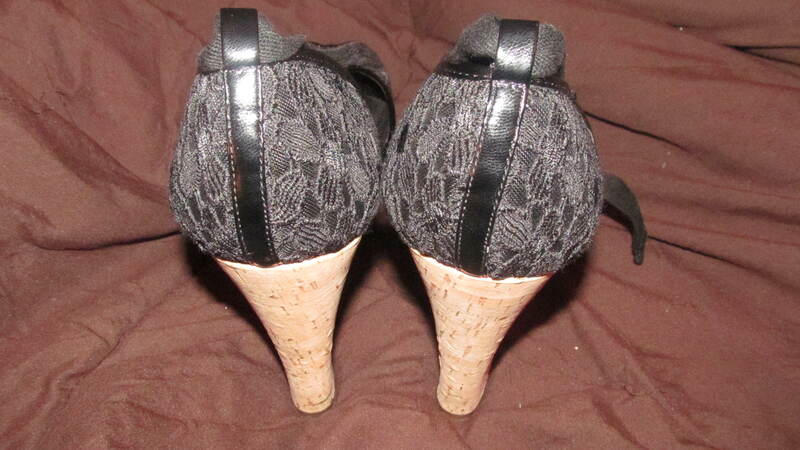 I found them at Ross for $ 19.99, down from $ 89.00. 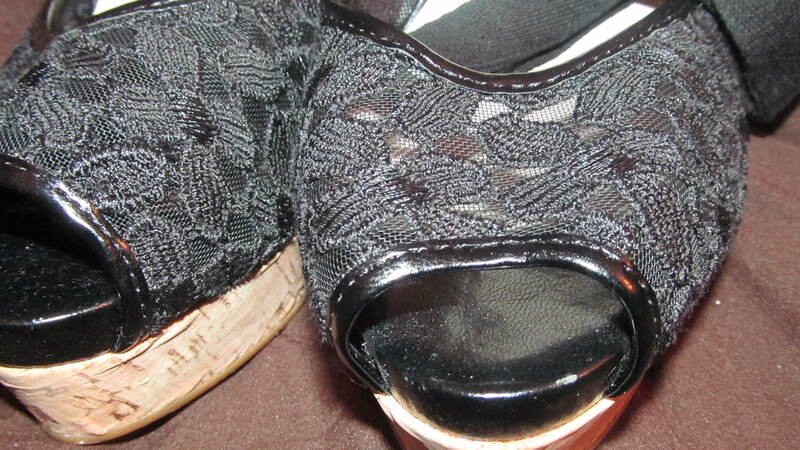 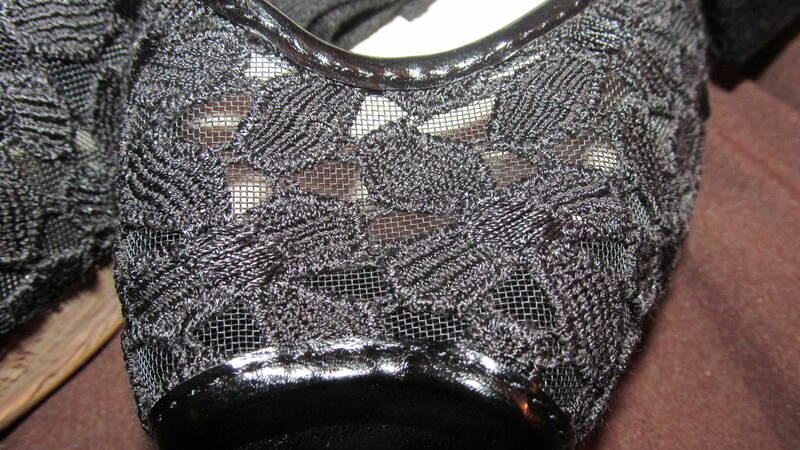 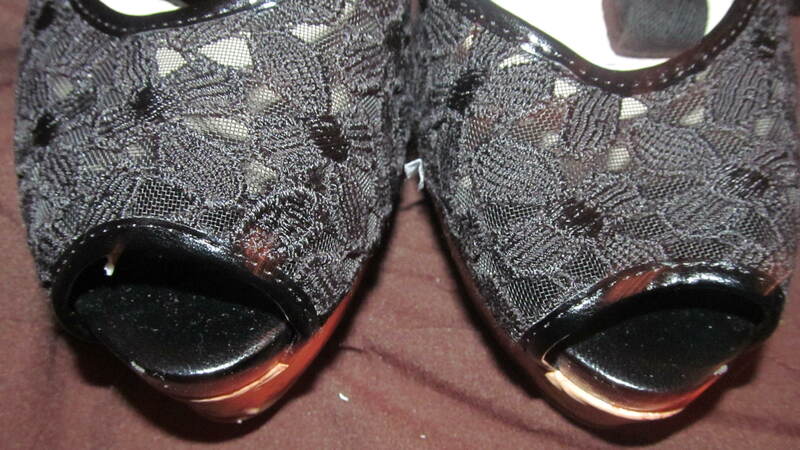 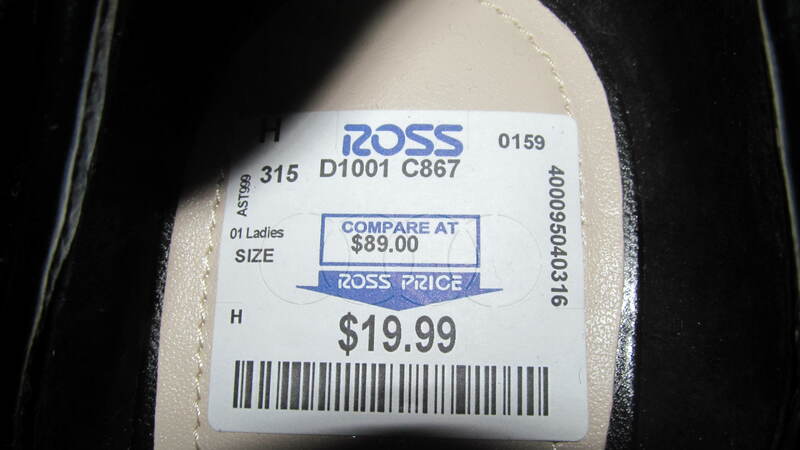 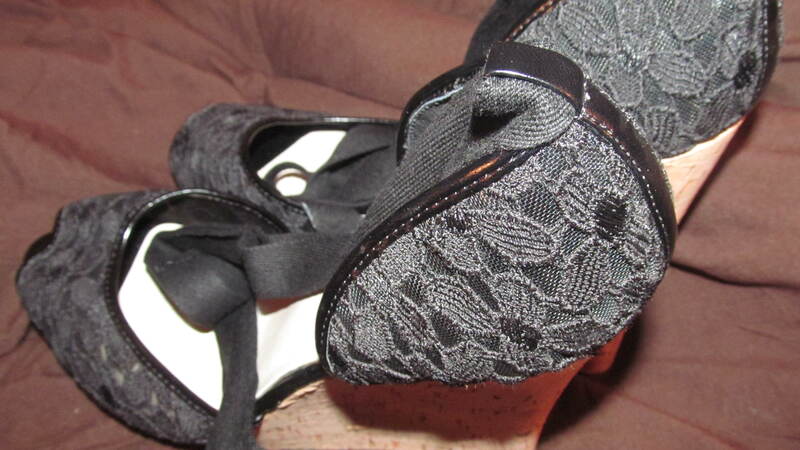 They have a really pretty black floral lace pattern, a shoe that can be dressed up or down to suit many an occasion. 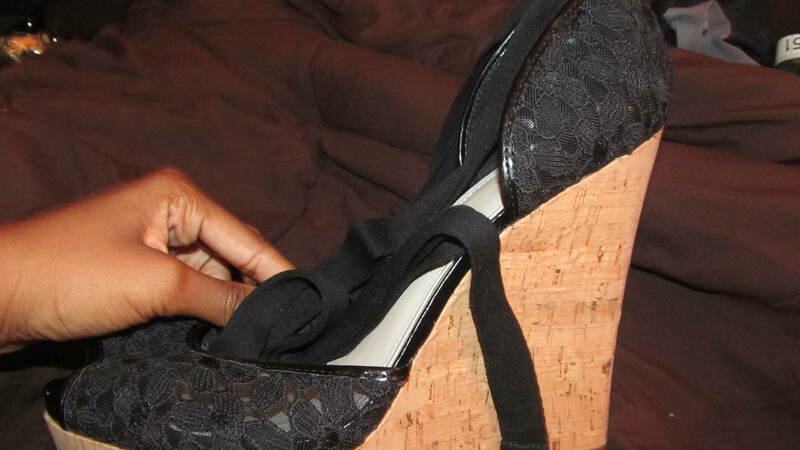 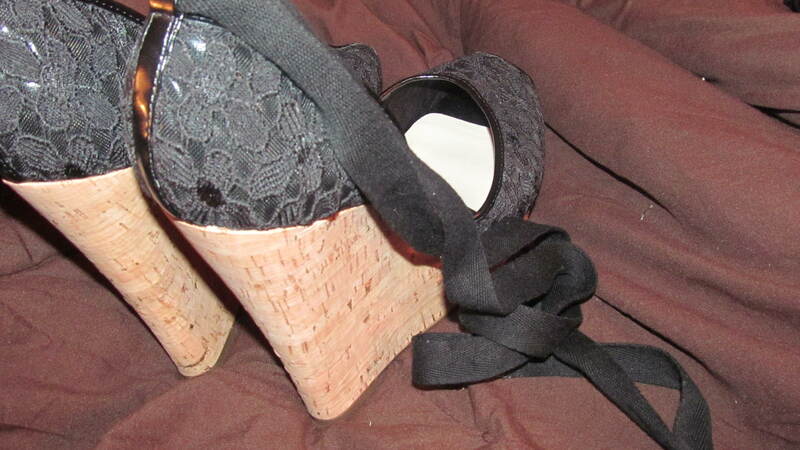 The wedged heel is about 5 1/2″ with a 1″ platform and is made of cork. 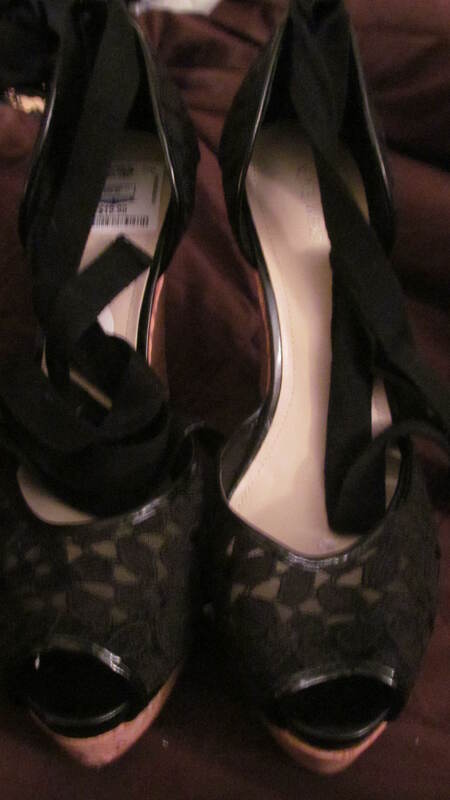 These shoes are peep toed, and also have long fabric straps to be tied around the ankle or extend up the leg, for a more casual look. 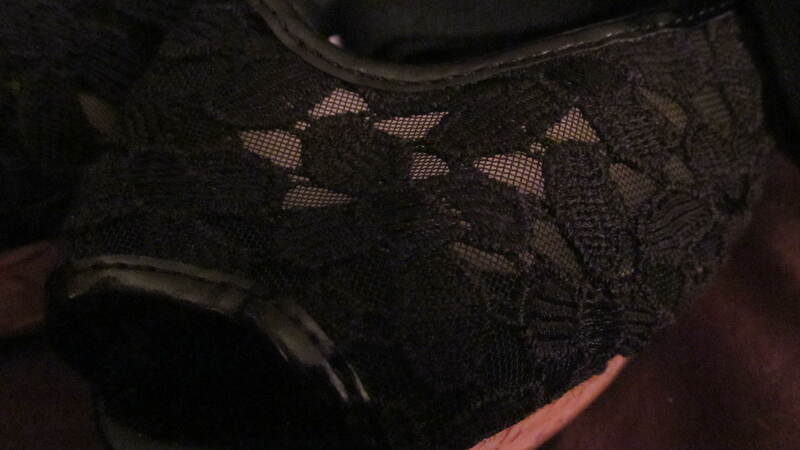 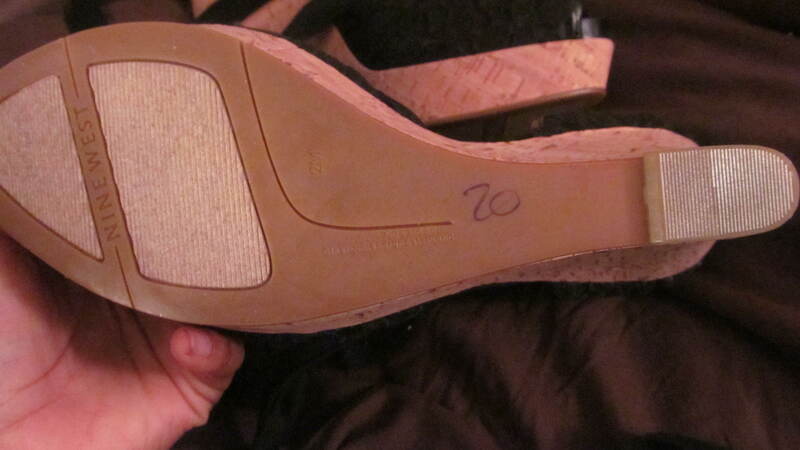 The edges are piped with faux leather, as well as a stripe of faux leather down the center back of the shoe.